Pupils of Base 8 presented a super assembly on the benefits of recycling. A clear message of reduce, reuse and recycle was shared by all! The boys and girls of Base 8 have been learning about the Eatwell plate. They have been learning about what types of food are beneficial for our health. With the help of Ipads they were able to design some super healthy dishes, well done boys and girls. Next steps……..get cooking!!!! Base 2 are out and about in the community learning to cross the road safely. Thank you to our helpers Mrs Hazlie, Mrs Turner, Ms Armstrong and Miss Hannaway who teach us about stopping at driveways, looking for safe places to cross and how to stay safe at junctions. Mrs Onions from road safety is coming to check up on our progress on Friday! The school vision was reviewed and updated by the school community. Pupils in the school council decided on words which would be appropriate for the vision. They then completed a survey around each base to identify which words all pupils choose to be the most popular. The top ten words were then issued to parents, staff, janitors, dinner ladies, cleaners and the wider school community for them to choose three words which depicted the vision of the school. The results are featured in the photo below. The school council are very proud of their work. Thank you to everyone who participated in setting the new school vision. Base 9 pupils performed a super Litter assembly to the school. They shared lots of interesting facts on the benefits of recycling and promoted a litter free playground. We hope you enjoy the snapshot of the rap children performed to others. 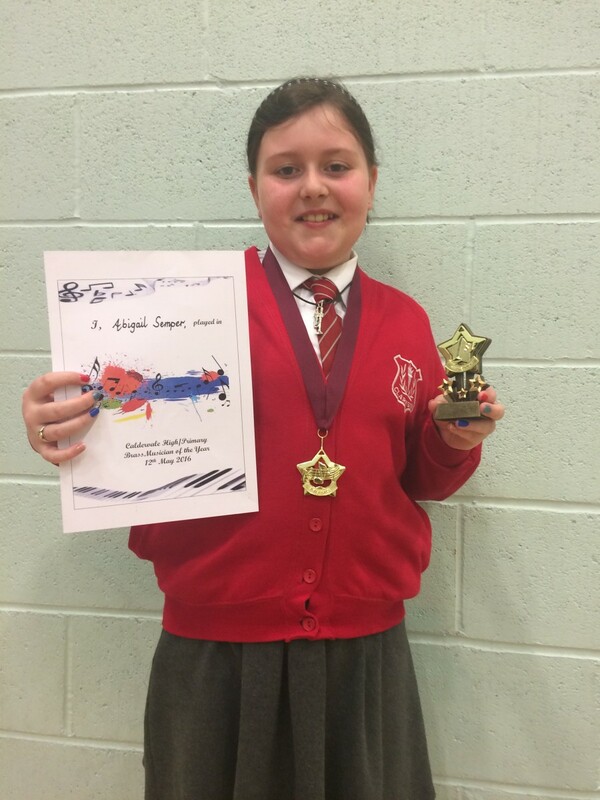 Primary 6 pupil Abigail snapped up first place in a music competition on Thursday evening. She played a variety of challenging pieces of music on her trumpet and was up against some strong competition from other schools. The announcement of, “First place,” was music to Abigail’s ears. Well done Abigail! 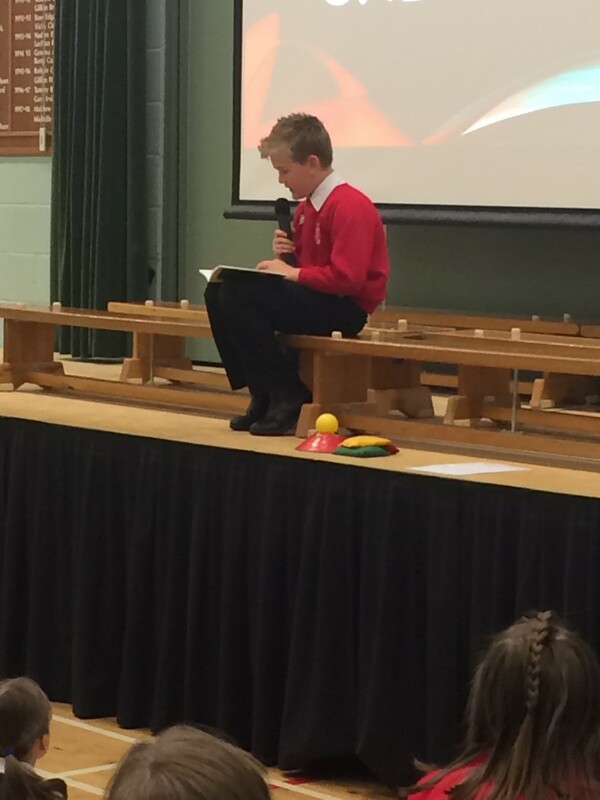 Pupils enjoyed Leo (B12) reading a Max story on morals during assembly this week. Leo did a super job – he read confidently, used lots of expression and demonstrated the skill of making a story sound fun and exciting!